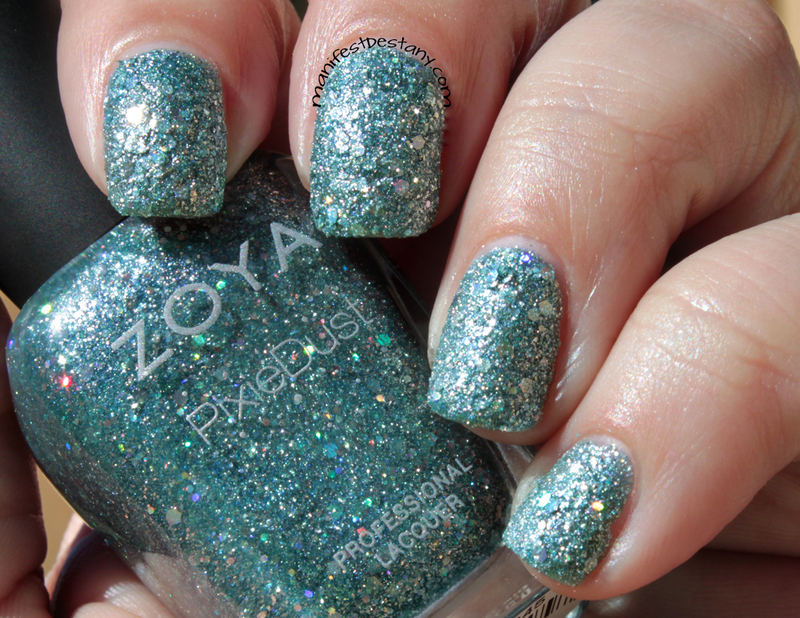 The Zoya Magical Pixie Dust polishes remind me of rock candy. Blingy, shiny rock candy. There's definitely more texture to these Pixies than normal. They are bright and blinding actually out in the sun. My camera kind of flipped out a little when I was taking pictures. The polishes are so bright, my camera had trouble focusing sometimes. 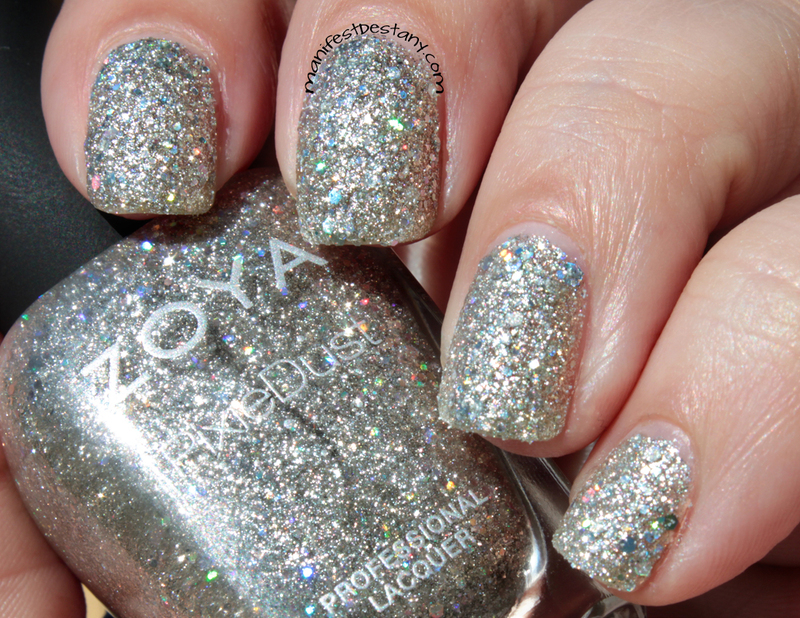 All three polishes went on well in two coats, but keep in mind, this texture is not at all like traditional Pixie Dust. It's grittier and, well, quite possible more sharp. And finally, Cosmo. She's the blingiest of them all. So silver. I had more than a few people tell me it looks like foil on my nails! Do you think you will get any of them? I really like the color of Vega! In all honesty, I probably won't wear these polishes much more than an accent nail. Their sharpness gives me illusions of catching on things, unraveling sweaters.... hahaha :) I do love the way they look, tho. I bet you're all wondering about removal, huh? They were just like most heavy glitters. The foil/quasi-foil method are both good ways to remove. The quasi-foil method is just like the foil method... only without the foil! 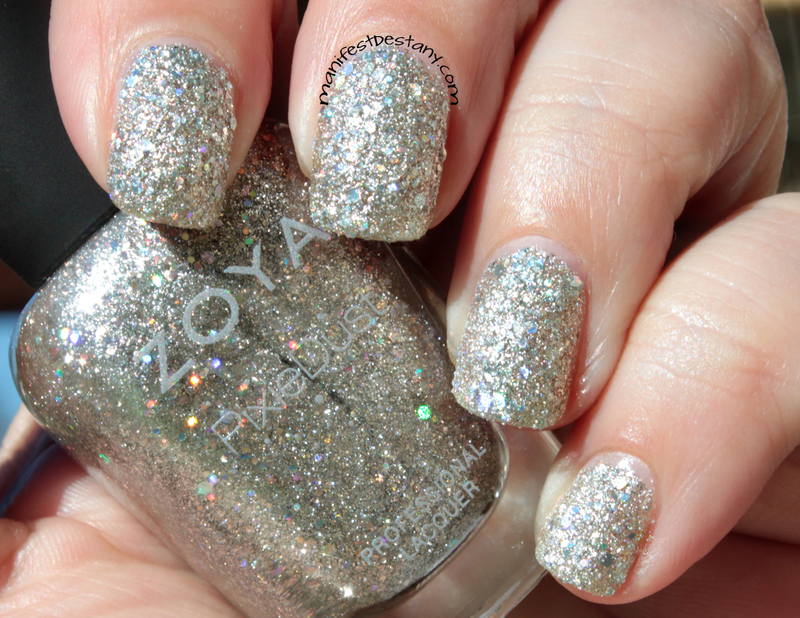 haha My Remover of Choice is Zoya Remove+. Pleasant smell and it's not harsh on my nails and cuticles. I definitely recommend it! 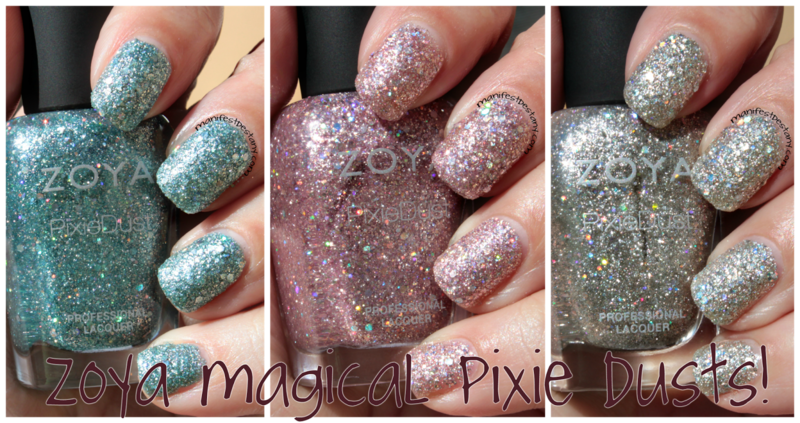 You can order these polishes for $10 each for $30 for a set of all 3 on the Zoya website. Available now.